What's in my spring makeup bag? 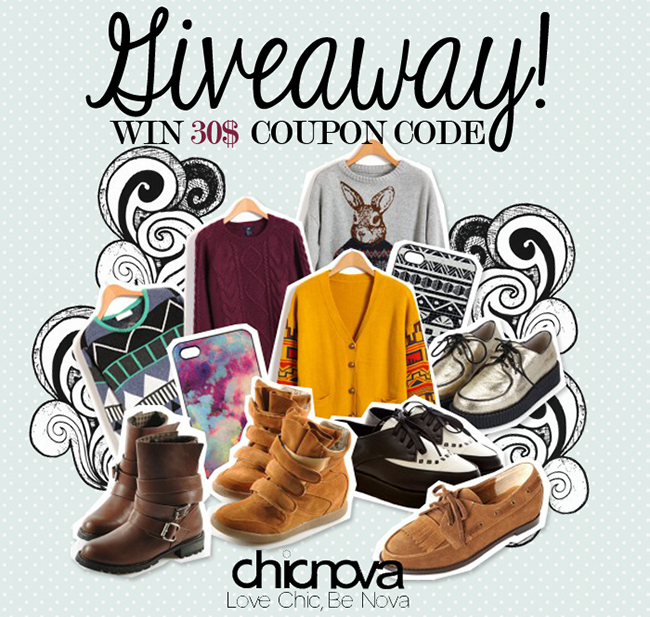 + CHICNOVA GIVEAWAY! Hey peeps! Since I already posted my Spring Favourites, it seemed appropriate to continue the spring theme and make a 'what's in my spring makeup bag' post. As you can tell... in the spring time I want everything to be bright! 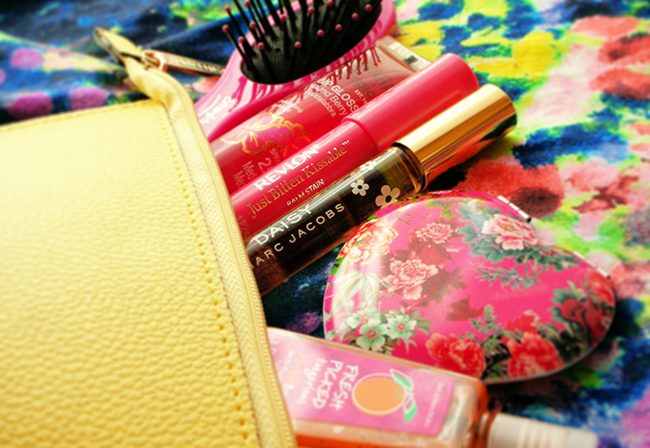 In my spring makeup bag I have: Little hair brush ♥ Carmengirls, Lipgloss ♥ Hawaiian tropic, Lip stain ♥ Revlon just bitten kissable, Rollerball perfume ♥ Marc Jacobs Daisy, Mirror ♥ Accessorize, Hand sanitizer ♥ B&BW, and some random concealer, eyebrow pencil, liquid eyeliner. My makeup bag is from Estée Lauder! So, this is it... But wait! Don't go away just yet! I have a giveaway for you guys! 3. Leave a comment with your register email and the link of your favourite item on chicnova. 4. Follow Aimerose with google friend connect, bloglovin and facebook. Giveaway ends 4th of April! Registered to chicnova with shenezkhan@gmail.com. My favourite item is the Roseo PU Tote Bag (http://www.chicnova.com/roseo-pu-tote-bag.html)! Very classy and chic! I'm following you GFC (shenez khan), Bloglovin' (Shenez) and FB (shenez khan)! Aww your bag & stuff looks awesome . Like ChicNova on FB & Followed on both pinterest and tumblr. I follow all the steps above!